The name Gauteng comes from the Sesotho word meaning "Place of Gold", the historical Sesotho name for Johannesburg and surrounding areas. This referred to the thriving gold industry in the province following the 1886 discovery of gold in Johannesburg. Gauteng is considered the economic hub of South Africa and contributes heavily in the financial, manufacturing, transport, technology and telecommunications sectors, amongst others. It also plays host to a large number of overseas companies requiring a commercial base in and gateway to Africa. Gauteng is the business hub of South Africa. All the 11 official languages in South Africa are spoken in Johannesburg. English is spoken and understood just about anywhere. Afrikaans is similar to Dutch and Flemish. Johannesburg has a population of approximately 2,5-million people, in a country of 46,5-million. 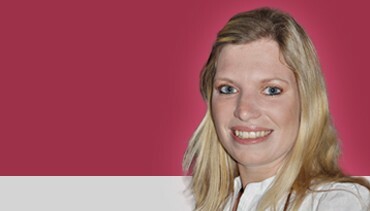 The city is known as the financial capital of South Africa and is home to a variety of well known businesses. 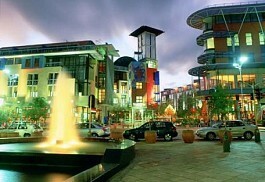 The national capital of Gauteng is Pretoria (Tswane), a 35-45 minutes' drive north of Johannesburg. South Africa's time is two hours ahead of Greenwich Mean Time, seven hours from Eastern Standard Time and 10 hours from Pacific Standard Time. The main religion is Christianity however large Jewish, Hindu and Muslim communities also exist. Sun Safaris can arrange scheduled flights for guests from most major airports to Johannesburg International Airport (O.R. Tambo International Airport - ORTIA). Once guests arrive in Johannesburg, they can either catch a connecting flight onto Cape Town, Durban, George or Port Elizabeth or take a road transfer or enjoy a self-drive holiday from here, all services can be booked by Sun Safaris. KMIA - Kruger Mpumalanga International airport is the gateway to the famous Kruger National Park and daily flights operate from Johannesburg's OR Tambo International into the Kruger National Park. Johannesburg and the surrounding areas offers the ideal safari and holiday self-drive destination and Sun Safaris can arrange a rental car for visitors once they arrive. Driving around Johannesburg is easy and all the major highways are tarred and in good condition. The drive time to and from Johannesburg will depend on where you are driving to/from. Gauteng offers some of the world's best climates with warm summer days with very little wind and pleasant winter days with clear blue skies. Visitors can enjoy a mild climate, neither humid nor too hot. The winter months are from June to August and early mornings and late evenings can be chilly, however the days are pleasant and warm. Summer is from October to March and offers warm days and endless sunshine. Early mornings and evenings can be cold in winter and warm clothes and jackets are needed, temperatures can go below zero. The rainy season is during summer. Afternoon thunderstorms accompanied by thunder and lightning are brief and followed by warm sunshine.